This one’s an oldie, but it’s still available if you haven’t scored it yet. 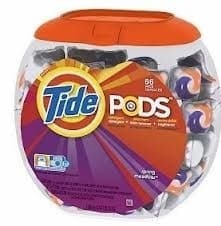 Click here to visit the P&G site and fill out the form to request a free sample of re-sealable stickers for Tide Pod tubs. According to their site, this should arrive in about 6-8 weeks.